After four years of job cuts, public school districts started to hire teachers and other workers this summer. After four years of layoffs, teaching jobs are finally coming back. Public school hiring rose this summer to its highest level in six years. Local school districts added 79,000 education jobs this July through September, according to the Bureau of Labor Statistics. That's the strongest summer hiring since 2006. But even with the small hiring spurt, it's still not nearly enough to keep up with the growing number of students in American classrooms. 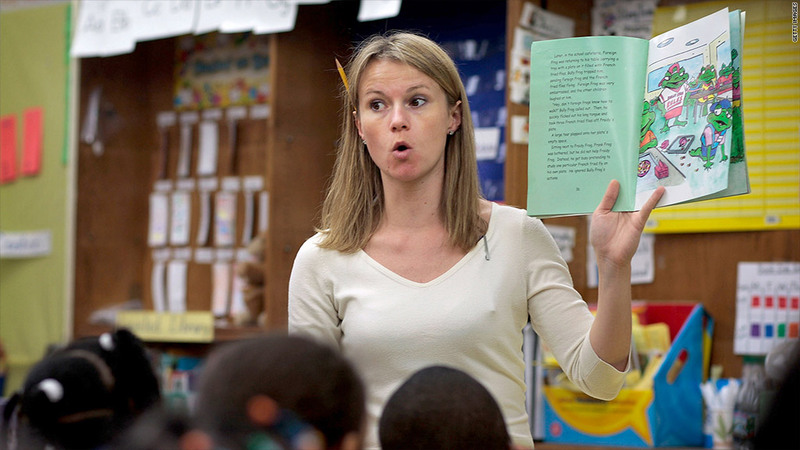 "The data suggest that at least we're not shedding a lot of teacher jobs any more. That's a really nice first step, but there's still so much to make up," said Heidi Shierholz, economist with the Economic Policy Institute. Considering public schools were slashing jobs in the four years leading up to July, the recent gains are hardly enough to bridge the gap. Over that time period, enrollment in public schools was projected to grow by about 377,000 students, according to the National Center for Education Statistics. To keep up, schools would have had to hire about 62,000 workers, Shierholz estimates. Instead, they laid off about 315,000. Recent teacher hiring comes as government budgets have started to slowly recover. Data collected from the Census Bureau shows local and state tax revenues have been gradually increasing since mid 2010. Property taxes -- one of the largest sources of funding for public school districts -- were much slower to recover, but as of the second quarter of 2012, they were up about 6% from a year earlier. "You're beginning to see a recovery in state and local hiring because tax revenues have been positive," said Brett Ryan, an economist with Deutsche Bank. "This is another overall sign that the economy continues to recover." But many experts fear that this new wave of hiring -- which has included mostly teachers, but also librarians, guidance counselors, administrators and janitors -- could come to a sudden end. Whether school districts will continue to hire is up in the air, depending on the election and how lawmakers act to avoid massive spending cuts set to take effect in 2013. If the so-called fiscal cliff is allowed to happen, federal education cuts are expected to near $4 billion, rolling back education funding to pre-2003 levels and cutting about 75,000 jobs, according to the National Education Association, the largest labor union representing teachers. "States and locals are still teetering on this fragile stability," said Noelle Ellerson, assistant director of policy analysis and advocacy at the American Association of School Administrators. "Are they at the bottom of a valley or teetering on a fiscal cliff? Are things going to pick up or is this just a false sense of stability, before a deeper downward slide?" 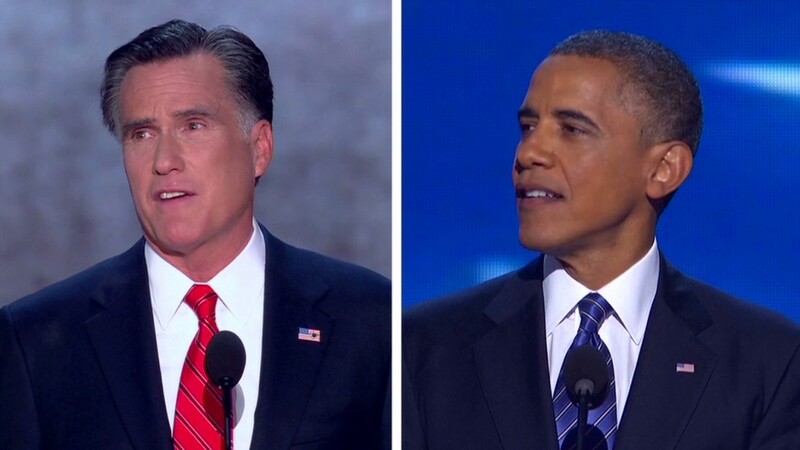 President Obama and Republican presidential candidate Mitt Romney sparred over education funding in their debate last week, with Obama suggesting that Romney would cut the Department of Education's budget by as much as 20%. But Obama admitted that number is extrapolated from Paul Ryan's budget plan calling for broad spending cuts. "We've seen layoffs of hundreds of thousands of teachers over the last several years, and Governor Romney doesn't think we need more teachers," Obama said. "I do, because I think that is the kind of investment where the federal government can help." Romney responded, saying the primary responsibility for education lies on state and local governments, but he does favor some federal support. "I reject the idea that I don't believe in great teachers or more teachers. Every school district, every state should make that decision on their own," Romney said. "I'm not going to cut education funding," he added later.